It was band, baaja, baaraat all the way in Hyderabad on Sunday with many families making the most of the auspicious muhurats. With scores of marriages lined up and guests starting to troop in, venues and convention centres wore a celebratory look from the early hours. Such was the demand, as hall owners pointed out, that almost all of them were booked well in advance and latecomers were left to manage with banquet halls and hotels. The day offering auspicious muhurats for marriage coincided not only with Sunday, but also with Basant Panchami, which saw parents in large numbers flocking temples, particularly those of goddess Saraswathi, for performing Aksharabhyasam for their children. ALSO READ: What's Fueling The Growth Of 'Family Offices' In India? According to Venkat Reddy, president of State Hotel Owners Association, there was a venue crunch across the city and some families had to depend on star hotels to make weddings happen on Sunday. About 5000 marriages registered on this day. 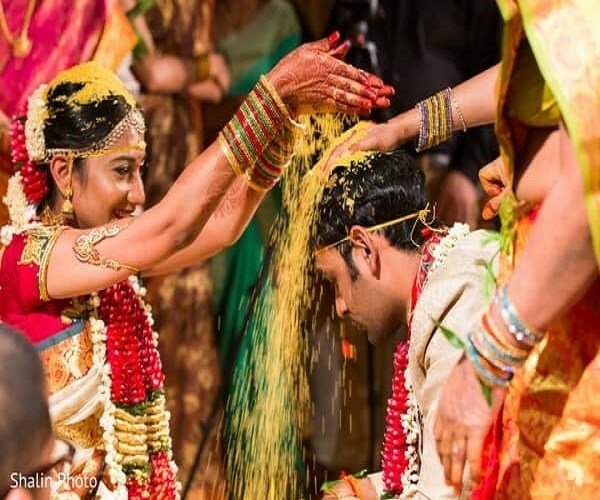 The demand was so high that venues, including PSR Convention Centre, Sri Venkateshwara Gardens, Hyndava Convention and SNR Gardens at Kompally, ended up hosting two weddings in a day. “We were besieged by families for a venue and struggled to cope with the demand,” said a wedding hall owner. The entire paraphernalia of a wedding — catering, stage design, photography, videography and brass bands — were in for sky-rocketing demand. The celebratory rush in some parts of the city threw traffic out of gear near function halls. The demand for events was more as auspicious muhurats coincided with Basant Panchami, purohits and astrologers in the city said. “Marriages and functions are performed based on auspicious muhurats. On Sunday, Basant Panchami was also celebrated, which invokes blessings of goddess Saraswathi. These factors made many families perform marriages and conduct other functions,” said JUB Sastry of Parasaara Institute of Astrological Studies and Research.